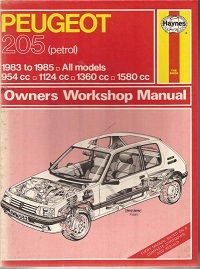 Haynes manual No. 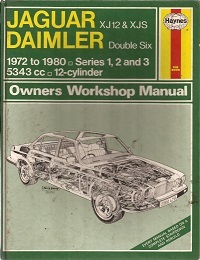 478 For the Jaguar XJ12 and XJS plus the Daimler Double Six 5343 CC V12 engine from 1972 to 1980. In good condition. ISBN 0856964786. By Peter Russek. 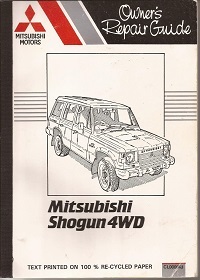 Covers front wheel drive 1100 1300 1500 and 1600 CC cars from 1985. 18 sections over 194 pages and in great condition. 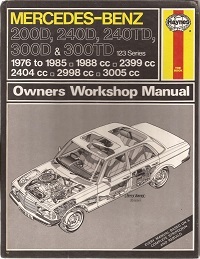 An original Leyland Cars manual publication No. AKD 3259 15th edition. With 33 sections and an inch thick a very detailed manual in great order. 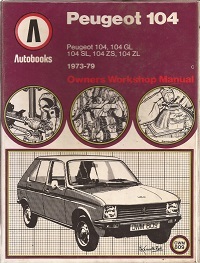 An Odhams Owner driver manual by P. Burke. 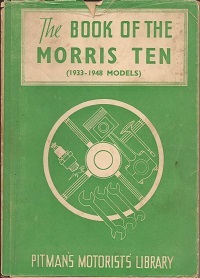 Covers models from 1948 to 1965. In very good condition. 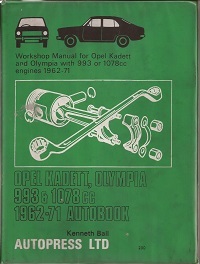 Covers Opel Kadett and Opel Olympia models with 993 CC to 1078 CC engines between 1962 and 1971. Fair condition. ISBN 0851472508. Publication No. 552. Presumably a good quality re-print of the original manual. Covers Mk 2 and Mk 3 models including SP and FF. Excludes Chrysler components. By Peter Russek. Covers 2.6 litre petrol engine 2.3 and 2.5 litre diesel engines with and without turbo charger. 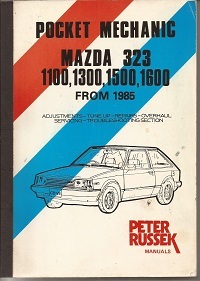 Manual and Automatic from 1983 to 1988. BMC part number AKD 4026A dated 1965. Covers the A55 Mk2 A60 Oxford Series 5 and 6 plus the 15/60 and 16/60. In good condition. 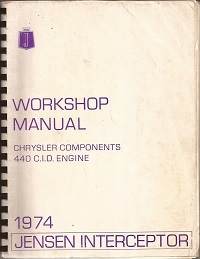 Covers the 104 104 GL 104 SL 104ZS and 104ZL models from 1973 to 1979. In good condition. ISBN 085147957X. 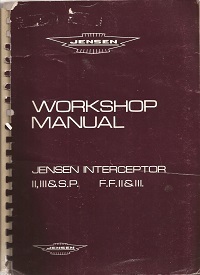 For the 1974 Jensen Interceptor with Chrysler components - transmission power steering etc. and 440 c.i engine. 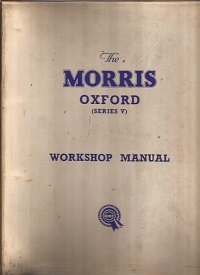 An ex-library copy in very good condition. 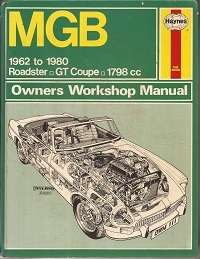 Haynes manual that covers all models of the MGB Roadster & GT Coupe with the 1798cc engine from 1962 to 1980. ISBN 0856966231. In good condition. 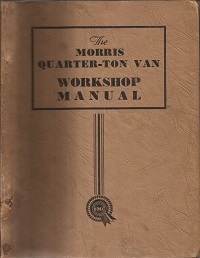 A Pitmans Motorist Library edition dated 1956 and covering all models from 1933 to 1948. With 8 sections plus 3 charts over 80 pages. In very good condition. A genuine BMC publication part no. 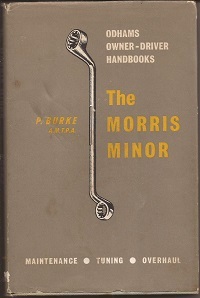 AKD 560 dated 1957 for the series three Morris Van. In very good condition. 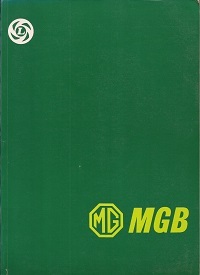 Covers all models from 1983 to 1985 with 954 CC 1124 CC 1360 CC and 1580 CC petrol engines including GTi. Spine is faded but inside is in very good condition. ISBN 085696932X.